Jill Condra, ed. 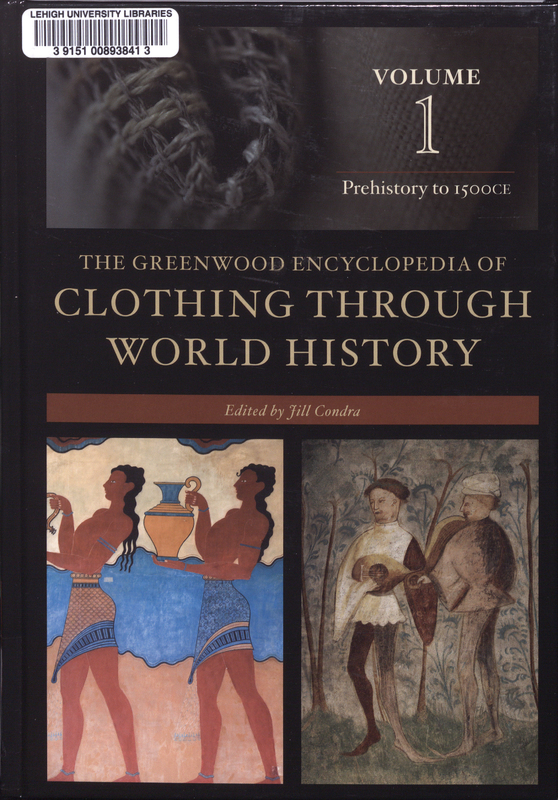 The Greenwood Encyclopedia of Clothing through World History. Westport, Conn.: Greenwood Press, 2008. This comprehensive encyclopedia of clothing and dress spans the history of humankind from prehistory to the present in three volumes.